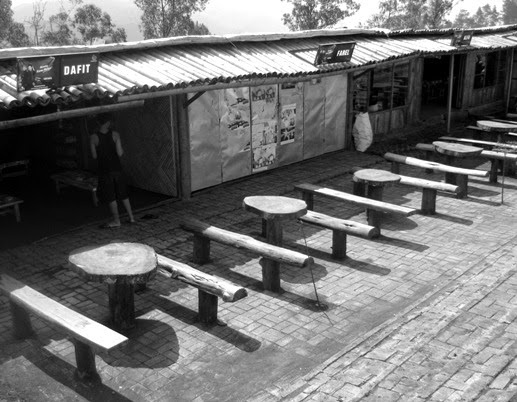 The benches captured at Mount Banyak (Batu city, East Java, Indonesia). Mount Banyak is an ecotourism aerospace. 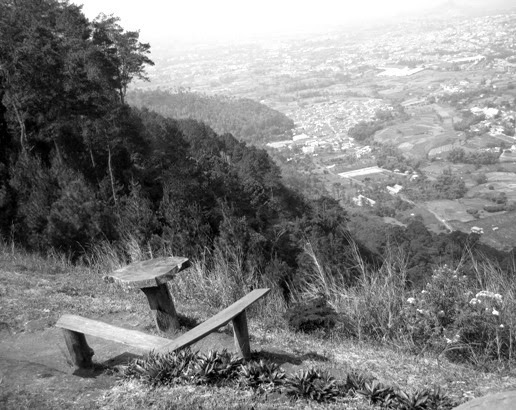 Not only has beautiful mountainous view, the place is also a takeoff spot for paragliding sport. Oh, the second photo is fun! I love the regularity of the first, but the broken bench in the second has so much charm! Great photos, the second looks interesting. Lovely, defined shadows in the first photo and the view in the second photo has panorama appeal. Both are wonderful! Beautiful landscape in the second one!